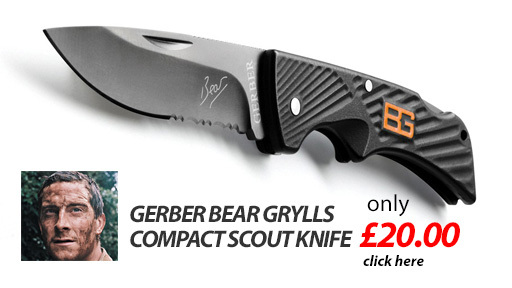 Looking for a Bear Grylls Knife? We have a new range of Bear Grylls knives and are adding to this all the time. The master of adventure Bear Grylls has teamed up with Gerber to provide the most adaptable and useful knives on the market. If you are keen on adventure and love the outdoors then a Bear Grylls knife is what you need to be the all round survivalist like Bear Grylls.